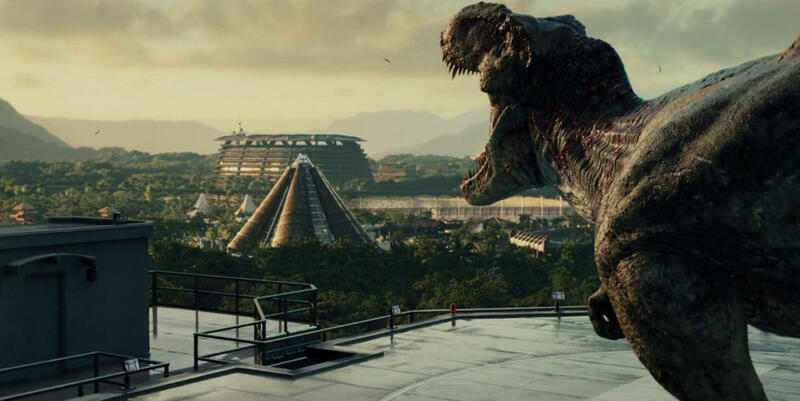 Rexy had found another indominus rex and was going to fight it when a dilophasaurus rex came out of the forest. the three of them were about to fight to the death but an ultimasaurus came out of another part of the forest and ran into the indominus. Rexy the indominus and the dilophasaurus rex had decided to try and work together to fight this unstoppable tank of a hybrid. Rexy grabbed the ultimasaurus' neck (rexy noticed its neck was the only part of its back that wasn't protected by the ankylosaur plates.) then rexy spun the ultimasaur and threw it into a nearby tree which fell on it but broke on the plates. The dilophasaurus rex grabbed the ultimasaurs frill and tried to pin it down but the ultimasaur grabbed the dilophasaurus rexs neck and threw it into a rock behind it. then the dilophasaurus rex got up and spit acid at the ultimasuar but it just hit he ultimasaurs frill with no effect. when the dilophasaurus rex saw that its spit had no effect on it the dilophasaurus rex knew the ultimasaur had to have part kentrosaur in it. 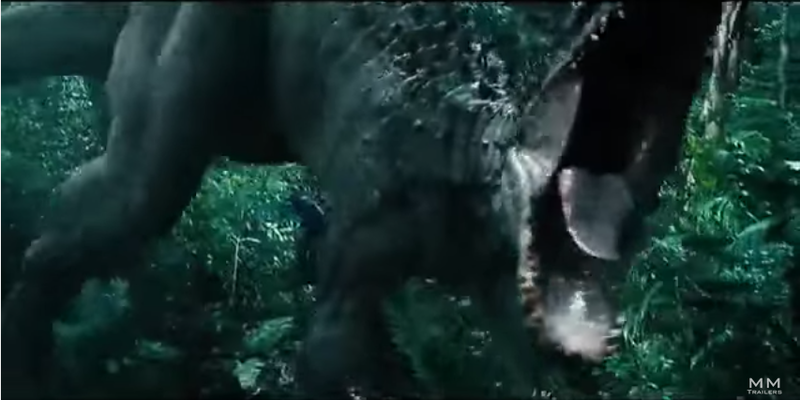 After the indominus got up from being knocked out it cloaked and tried to sneak behind the ultimasaur but the ultimasaur tail was too sharp for the indominus to get close enough so the indominus let out a small groan and the ultimasaur swung its tail thinking it would hit the indominus but it went infrot of the indominus and the indominus grabbed its tail behind the spikes and swung the ultimasaur into a tree. the tree fell on the ultimasuars tail making the ultimasuar unable to move from that spot. Then the ultimasaur went to grab the tree off its tail but rexy grabbed its neck and pulled its head away from the tree. then the ultimasaur got mad and swung its head at Rexy but hit the dilophasaurus rex instead. When rexy saw the ultimasaurs horns hit the dilophasaurus rex Rexy got mad at the ultimasaur grabbed its neck and threw it into the bottom of the cliff they were at. when the ultimasaur hit the cliff and rocks fell on it crushing its ribs and nearly braking its spine. when the ultimasaur got out of the pile of rocks one of its horns was broken. 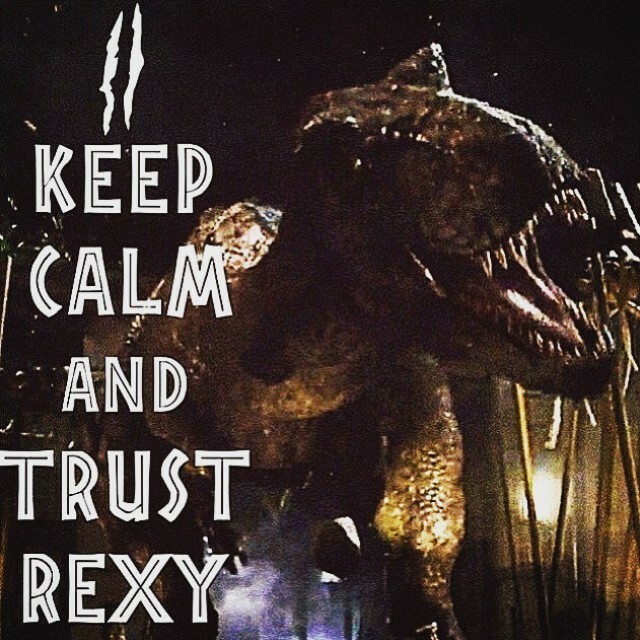 when it turned towards rexy she grabbed its neck again and slammed its head into one of the rocks that had landed on it. then rexy grabbed the ultimasaurs neck again and threw it upwards then rexy spun and hit the ultimasaur with her tail sending the ultimasaur flying 50 yards. after Rexy sent the ultimasaur flying she helped up the dilophasaurus rex then Rexy turned and saw the ultimasaur charging towards them with its horns lowered but rexy grabbed one of its horns spun and threw it to the ground. 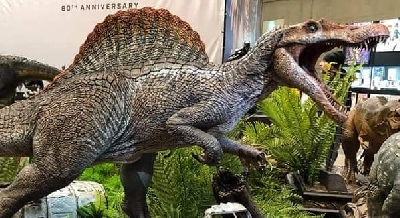 then the indominus grabbed its tail and held it on the ground then the dilophasaurus rex grabbed the ultimasaurs neck and pinned it to the ground then rexy went to grab the ultimasaurs head and crush it but the ultimasaur broke free grabbed Rexy's neck and tried to throw her into the cliff she had thrown the ultimasaur into but she stopped herself from hitting the cliffs wall. when Rexy stopped herslf form hitting the cliffs wall she saw the ultimasaur charging toward her but she jumped out of the way and made the ultimasaur run into the wall collapsing the wall on the ultimasaur crushing it. Rexy, the indominus, and the dilophasaurus rex roared over their victory against the once thought to be unkillable ultimasaur. 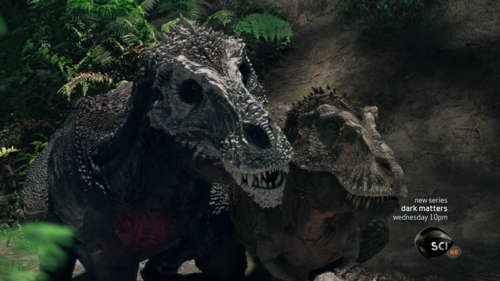 Rexy, the indominus, and the dilophasaurus rex went their seperate ways and kept a truce sinc that wasn't the only ultimasaurus on the island.